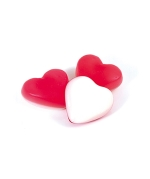 These yummy red and white love heart sweets are perfect to snack on, share, or as part of a sweets table for an event or party! Their strawberry top half is perfectly complemented by their foamy bottom half. A well-known favourite – get yours today! 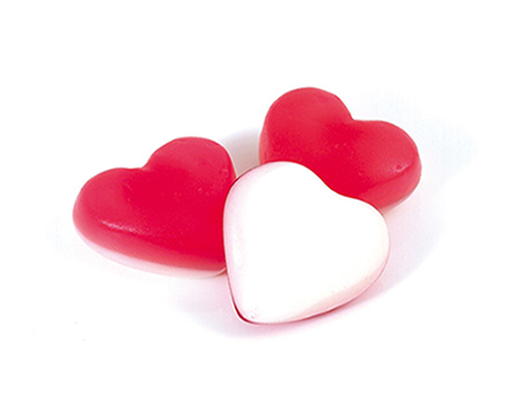 Ingredients: glucose syrup; sugar; dextrose; gelatine; acid: citric acid; flavouring; fruit and plant concentrates: aronia, blackcurrant, elderberry, grape, glazing agents: beeswax, carnauba wax, elderberry extract.